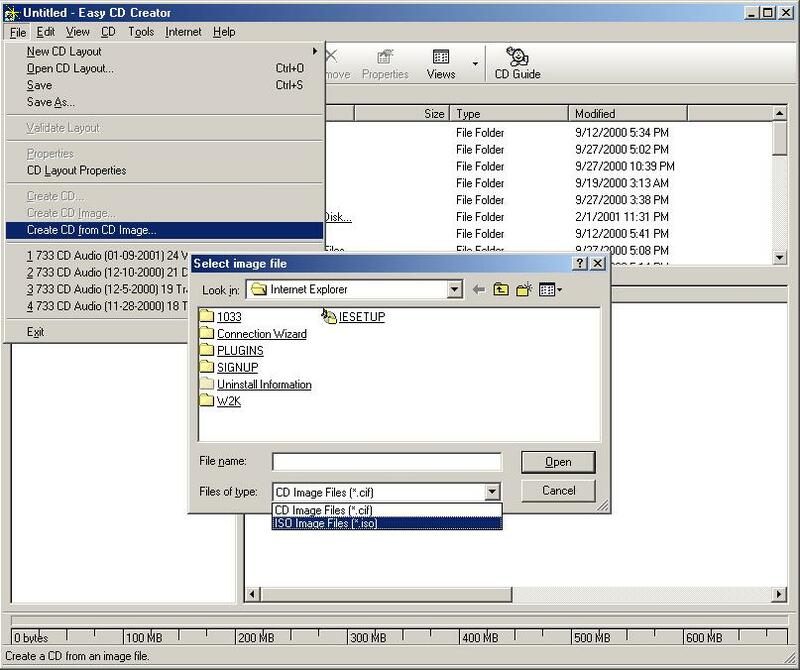 Select Start, Programs, Adaptec Easy CD Creator 4, Create CD. From the menu select: Data, Data CD. 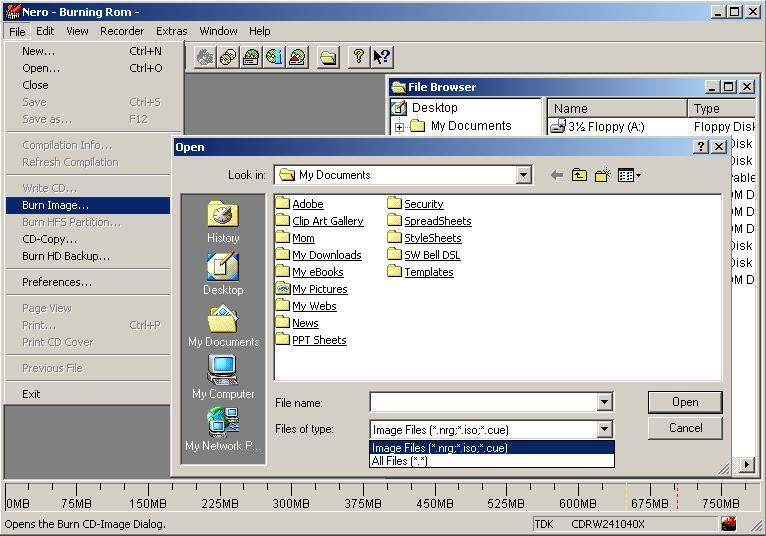 From the program File menu select, Create CD from Image. Change the file type from Image Files (*.cif) to see Image Files (*.iso) and Burn baby burn! An ISO image is finalized for burning by any CD-RW application whereas a cif image can be added to later only (Roxio) Adaptec Easy CD Creator. Select Start, Programs, ahead Nero, Nero - Burning Rom. Cancel the Wizard. From the program File menu select, Burn Image.